I wanted to bring you a quick peek into the offerings from Basic Invite. 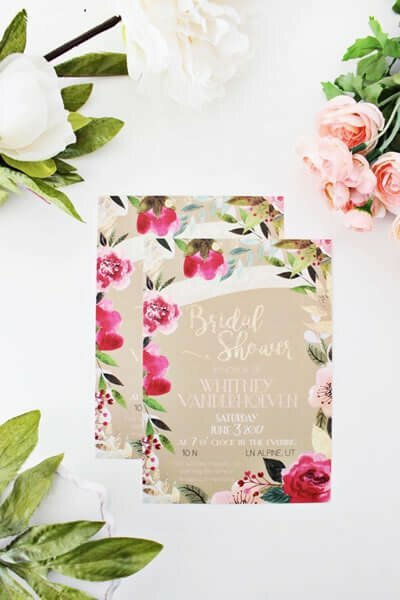 You want your wedding event invitations to be delightful, beautiful, and unique, right? 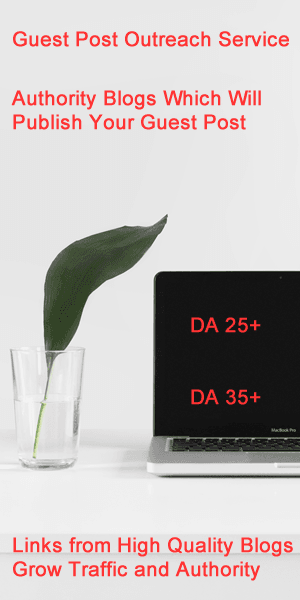 It can be hard to sort through all of the options that are available these days, so I wanted to bring you a quick peek into the offerings from Basic Invite. Check out five of my favorite invites, and then browse through their website to find your own faves! I love that this card is whimsical, bright and artistic. 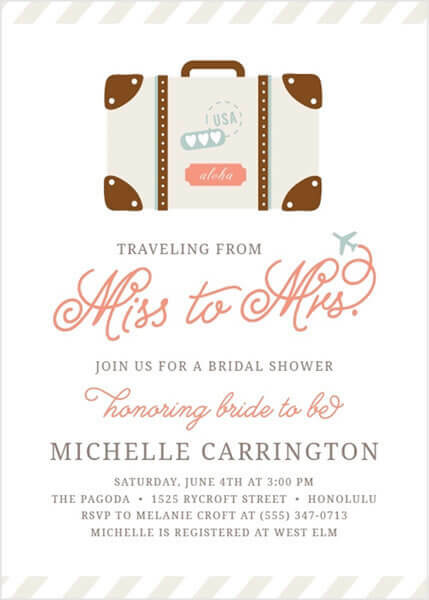 A perfect bridal shower invite will speak to the bride’s personality and will include some design elements from the wedding. The bridesmaid that is hosting a shower should pick out invites that make sense with the rest of the wedding’s style and tone. This invite would work well for a warm, spring-themed wedding. It’s a big change to go from Miss to Mrs. and this custom bridal party invitation captures the transformation. It truly is a journey! I love the wording, don’t you? 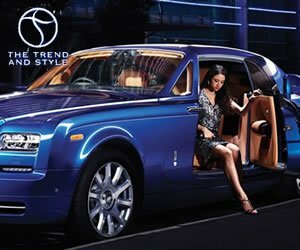 You can tailor it to match the wedding color palette. Basic Invite offers over 800 lovely color choices for invites, and 40 envelop color choices. An instant preview is available online so that you can be sure that the design looks just right. Or, have a printed preview sent to you so that you can see the colors in person and feel the paper quality before you order. That’s a great chance to show the invitation to a few trusted friends so that they can help you fine-tune your wording and catch any mistakes. Basic Invite offers wedding stationary for all kinds of events, including anniversary invitations. Their gold foil line includes gold, silver, and rose gold options. 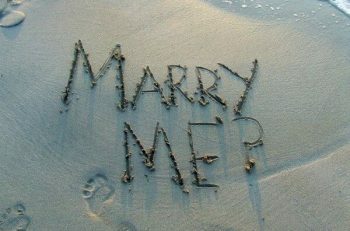 It is a great idea to plan ahead for anniversary celebrations in the future, even if you are just getting married. If you are organized as you collect addresses, you’ll save yourself some work five years down the road, when you want to host an anniversary celebration! Basic Invite offers a free address collection service. You can send your guests a link where they’ll enter in their address. Then Basic Invite will print the addresses out on your envelopes. What a time saver! The night before your big day, you get to sit down with your closest friends and family and share a meal. 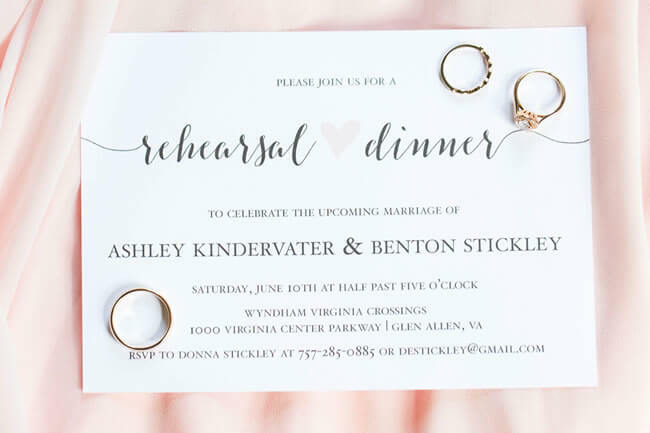 Your rehearsal dinner invitations can convey the meaning behind this milestone event. I love how sincere and formal this invitation is. The images of rings and the sophisticated fonts show that this isn’t just any old meal! 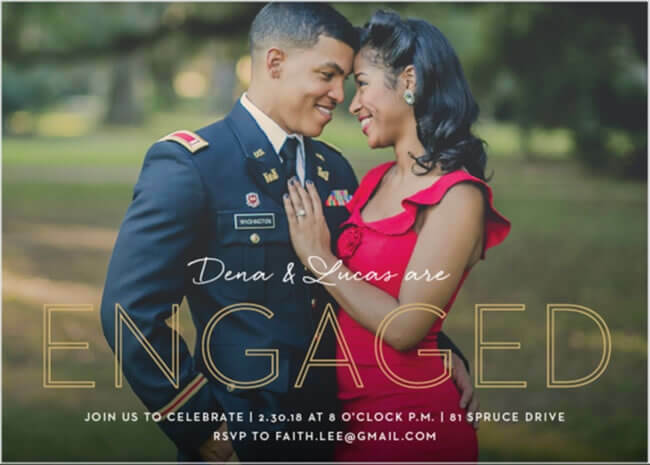 I love engagement party invitations with photographs. That’s because this might be the way you announce your incredible news to your loved ones, and they’ll want to see you and your partner as a couple. The whole wedding experience — including parties, showers, and dinners — is about celebrating your union. Sharing a photo is an amazing way to show the love that you’ll all be honoring together. 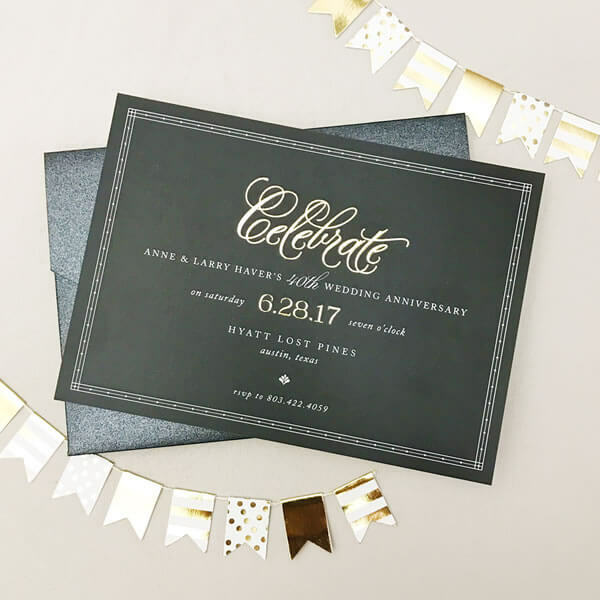 Basic Invite has an incredibly wide selection of invitations. Look through their site to find your own favorites. I love the cards with artistic, whimsical illustrations, and the invites with clever wording. I’m also a fan of designs that convey meaning and sweet couple photos. What do you look for in an invitation? Leave a comment below!